I understood the charm of cycling and also saddle sore during my first trip to Bhutan. A Mumbaikar who had never done any climbs and a casual bike-to-work person was on her MTB managing on those massive climbs. This mountain biking experience made me realize first my potential and second the love for biking. I dreamt to explore Europe on the bike and this dream shaped into reality in August 2018. How did we/I decide on the tour? We asked like-minded people for the tour and formed a group. We had discussions over discussions, meetings over meetings, searching the web for the best possible route. The first tour in a foreign land, I had to keep lots of factors into consideration, especially the cost. This time again I was the only female in the group, and the planning part automatically came to me. Out of all the people discussing only three of us were left for the trip, and they were also unsure. Here I took a stand as I was very clear that even if no one comes, I’ll go ahead for the trip. It takes hell lot of planning, effort, pleading, managing to move out of the house and somehow for men it gets straightforward. But then Bansal uncle and SapinderJi agreed, and we were set to go. Myself and Bansal uncle boarded the flight from Mumbai to Milan. We took a taxi to Verona which was pre-booked for us by Dimpy Singh (cousin of Sapinder Ji). It took us 2.2 hours to reach Verona. I had already booked the apartment at Verona, and we directly reached there. The condo was strategically located, and it was a beautiful place to stay as well. We finalized the bikes in the evening with Haider (owner at a local bike shop). We chose basic touring bikes where we could arrange our panniers as well. We skipped the support vehicle to save the cost. We loaded our bikes in the car and drove to Innsbruck which is approx. 3.4 hours drive from Verona. Innsbruck(Austria) is Europe’s one of the most beautiful city. It was cold here at night, and our apartment was very cozy. Our host was wonderful, and we had no problem in either locating or staying in the apartment. The morning view was splendid. Day one of our ride and we were pretty excited. We got up early, packed our panniers and layered ourselves a little as it was cold. We had an excellent breakfast of freshly brewed coffee and croissants before the ride. Oh! What a splendid morning it was, crisp sun, slight cold breeze, beautiful mountains, mesmerising scenery. I was already excited for the ride. As soon as we started the ride, we found ourselves climbing the Brenner pass. We were not aware of the route hence were not expecting any climb. But the treacherous climb refused to end, and we climbed up for 40 km with basic bikes and panniers mounted. We finally terminated the ride one station before Brixen, loaded our bikes in the train and headed for our halt. Here we were again hosted by Sapinder ji’s cousin and treated ourselves with rajma chawal and superb scotch. Brixen is a laid back, quiet and a breathtakingly beautiful city. We started at ease in the morning. It was a crisp, beautiful day and after manoeuvring for a while, we found ourselves on an exclusive cycling highway running parallel to the main road meant for other vehicles. Oh ! what a delight to ride on a narrow lane meant only for cyclists. No rush or worry about any vehicles is honking or speeding. We had an incredible, delightful, hassle free and a fabulous ride. Each one of us was enjoying the route, and at one point we three were riding at our own pace and zooming freely. The vineyards and apple orchards ran parallel to the highway, and Bansal uncle decided to be a naughty boy to pluck few and keep them in the panniers. I was on guard and raised the alarm if I saw anyone approaching us. What fun, turning into mischievous little kids !! I was singing, clicking pics, taking videos and couldn’t stop my grin ear to ear. We went through the local villages soaking into the vibrancies of colors and breathtaking architecture. Sapinder ji’s young nephew also joined us on this ride, and it was great to learn a few Italian words for him. He also helped ask for directions. We met many cyclists on the way, and we waved and greeted each other. Here we had to change our stay option as the young chap with us was tired and our stay was a little far from the city. But, everything happens for good and the place we decided to stay is beyond any description in words. It was a wooden cottage owned by a couple who had apple orchards in the backyard and a beautiful extensive spread garden with amazing flowers. We were served freshly baked bread with homemade butter and jam, fresh apricots from the garden and surely an excellent coffee for breakfast. After a sumptuous breakfast, we were back on the cycling highway. We met a family from London with three kids, and they were on a cycling holiday as well. We also met two friends somewhat over 50 years old and loved the way they were chatting and riding, also stealing apples and keeping them in the bag. The whole experience of riding on the highway was stress-free. We were not chasing starva ratings, speed or QOM but we were pursuing happiness in riding across this beautiful country. We stopped more than we cycled. Each one of us was displaying a very happy hormone in the body language. There was a particular midway café meant only for cyclists. It had cycle trainers, cycle stands and necessary servicing too. At this café, our young champ gave up, and then our trip itinerary changed. We decided to go to Terento and board the train to Verona and drop him home. At night we were back to Verona where Dimpy ji’s famous restaurant called Maharaja welcomed us with best food and drinks. We started from Verona to Desenzano aka Lake Garda early morning. It was also Independence Day of India, so I hanged the Indian flag on my bike and proudly took it wherever I went. It was a holiday season in Italy at that time, and everyone was in a holiday mood. We lost our way as usual and landed in a roadside café. There was a group of men over 70years I guess sitting and sipping their wine. Laughter, chatting and sparkling wine filled the restaurant at 9 am. Even without knowing the language we talked a lot and finally started our way ahead. We cycled through deserted, decorated and as well as villages full of life and colors. It was sweltering, and the sun was piercing the skin, but every pedal was worth taking. We finally reached Lake, and again this place stunned us with its beauty and charm. Colorful flowers, beautiful streets, all people in the holiday mood and the spectacular lake.oh ! it was stunning. Our apartment was clean, strategically located and comfortable. After a quick shower, we headed out for evening walk, followed by dinner and wine. It was a beautiful eve with live bands playing at every nook and corner, children dancing all over, young and the old shaking their booties too. I heard a band playing “Happy” from Despicable 2. I rushed and requested to sing again because boys and I love singing this song together. We got up easy the next day, had our coffee at leisure and cycled way back to Verona. We took a different route this time (as if we knew the way back, Ha!) and within no time we were in Verona. We quickly took a shower and then walked all over Verona for site-seeing. Right from Gelatos, to wishing at Juliet, sipping wine, visiting an internationally famed pub, we did all until we were dead to retire for the day. We stayed at the same apartment the next day as well. Our changed itinerary gave us two rest days, and we headed towards Florence to set the leaning tower of Pisa upright. At Florence, Mr. Jyoti Singh owns a restaurant called Havelihttps://florenceindianrestaurant.it/ which is again a must visit. He served us with the best possible Indian food both veg and non-veg, and his hospitality floored us. After convincing him that we could not eat anymore, we headed for Pisa and also the town. Florence architecture is worth admiring and leaves one in complete awe. We had a beautiful day roaming and driving around Florence and headed back to Verona by evening. We packed our bags at night as our trip was now taking a different route. We bid adieu to Verona and thanked our host. Myself and Bansal uncle boarded the train to Venice. Yes, we were now heading to the city of Gandolas. With the sun in its full fury, we decided to stay indoors. I soaked myself in the bathtub for the longest possible time and took a great nap. We headed out to explore the city on foot in the eve. It is indeed a beautiful city with Gondolas ferrying from one part to another. We walked to almost one corner of the town to another finally had our dinner and came back to our comfortable room. It was time to do the final packing as we were heading back home. With most beautiful experiences, memories, routes, food, missing the way, finding a new one, meeting new people, we boarded the flight back to Mumbai. Keep all the things sorted back home. Emergency doctor contact, inform friends about your travel, drop a message at school group for the last minute project submission help, maids should not take off. Trust me as long as things run well behind you; you’ll be at peace. How do most people plan their New Year? Goals: Career, financial, be-a–good-person, slimming, get-married, move-out-of-stinking-relationship, make-a-new-boyfriend and many more goal-a-goals. How do I plan my year? Oh ! How much I crave to be airborne or on my bike or the mountains. But this year it’ll be different. I’ll attempt to take my boys along to as many offbeat travel destinations that I plan for myself. Although with Arun Jaitley bombarding, bringing them along each time will not be possible I know. For the first long weekend of the first month of the new year, I came across an event on Facebook, Tour De Chattisgarh. After looking at the itinerary, it seemed perfect for a family vacation. 4. I got married in Raipur and never visited after that. It was a perfect time to relive the moments. We have done five-star holidays, beach vacations, foreign tours, camping, hiking trips with boys but never a cycling trip. 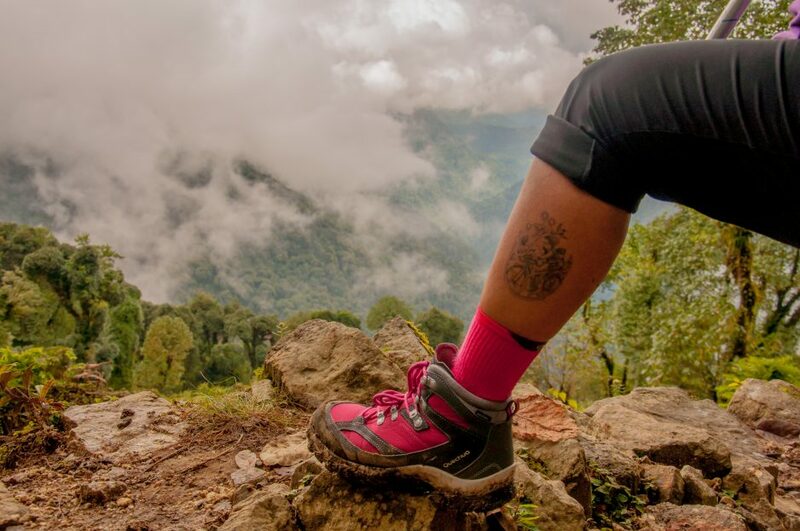 An adventure freak mom has passed on some traits to boys too. Hence I thought to attempt this trip with boys. Why should you move away from the comfort zone and gift your children experience? Before I booked the tickets, I had to seek permission from the school. Boys were instructed to be on their best behavior and studies until I visit the class teacher. I came out grinning ear to ear from the school gate with a permission letter in my hand. See, that’s why it’s important to obey mom when she asks. Give me a high five here ! Both of them were given a cabin size trolley and instructed regarding the number of clothes, undergarments, footwear, and anything that they feel will be significant during travel to pack. The younger one had not-to-forget-tactics. He kept his watch in the shoes as they arranged the clothes for the next day early morning flight he said, “mamma, I’ll not forget this way.” Nice one! Swati and Tarique ,couple with multi-facet talent and super enthusiasm towards life ! Every morning we were supposed to report at 5.30 am for the ride (which we never did, that’s another story), but boys were up with my one wake up call. Their dresses ready for the next day and bags packed too. We were riding to different locations each day and bags were supposed to be transported as well. Temperatures dropped at certain places, and Mumbaikars are too lousy when it comes to cold winds. Younger one being asthmatic had sneezing attacks in wee hours but all wrapped up in a blanket they were always ready on time. There was no fuss about early morning rise. We all have to agree that we have a far more comfortable life now than what it used to be in our childhood. I was amazed on how boys adjusted to whatever was available. Although we stayed in Chattisgarh tourism guest houses, they had their limitations. There was no fuss or cribbing about food. Sid, who is such a fussy eater ate whatever was available because I told him to eat adequately to ride well the next day. No hot shower but just a bucket of warm water and they were happy with it wherein Abhi at home loves his hot water shower twice a day. They adjusted to every situation . Sid has always been an outdoor kid. Full of surplus energy and enthusiasm, unable to fix his liking on one thing. So typical ME . While Abhi is a happy go lucky child. Happy and satisfied with himself and his surroundings. This trip gave both of them to do what they wanted to and find their happiness rather than their parents forcing them in some hobby classes in the name of skill building. Children are born with multiple skills, let them explore themselves. We had solo riders, families with children, couples, father-son duo riders in this trip. It was an excellent opportunity to observe the bond and connect with each relationship. It was amazing to see the confidence senior citizen father had in his young son as they were riding together. I saw Sid from the corner of my eyes nodding his head in approval of this relationship. I also saw him blushing whenever he saw Ben and Stephanie. together, teenager syndrome is setting in now. They took small but independent decisions in the entire trip. They chose the clothes they wanted to wear the next morning for the ride, although I guided them on layering up. Picked the food they wanted to eat from the buffet with Sid evidently seeking approval from me on the right quantity(he was riding each day). Deciding the distance and whether to ride or not. Choosing to ride after the fall or not (Sid had two falls).The decisions were small, but they give them immense confidence in being responsible. I am glad about my decision to take all my three boys on this trip. We were addressed as the tribe called “Charon dishayen” (Char-four, means we family of four and Disha- implies direction, which is also the meaning of my name). We all learned something or the other from this trip and had an enriching experience. It is important to let children be themselves, take own decisions, get dirty, mess around, get tired, be in the sun, fall, get hurt, above all let them grow the way want to. I am mighty proud of all my three boys for being together throughout , no tantrums , utterly cooperative and understanding. I underestimated your hidden trait. Mom is sorry about it but a strong pat on your back Som, Sid, and Abhi. The two things which I love the most as they let people move forward without any wastage are books and bicycles. Something similar happened with me. I suffered my first major fall from my bike on 19th March, 2016 as I remember the fateful day of my operation. It was the day when my right arm was operated upon, so as to insert a metallic plate for treating my broken bone. The accident just broke my bone not my spirits, as I was back on the saddle with the support of my fellow group riders after a prolonged recovery. To fight my fear and to face it eye to eye, I rode through the same spot on 5th November 2016. But the fate didn’t want me to defeat my fear this time on the way back a bike banged me from behind. I almost flew and landed with a thud on the right side of the body and got dragged for a distance. This one left me with almost three weeks of limping, bruises and lower back injury. When I look back at 2016, it was a year witnessing some major falls and some painful recovery period too. I was itching to get up brush off the past, and get back on my saddle to ride towards happiness. It was not easy though, the pain and the fear to fall again started sinking in my psyche too. I was in Delhi for work in January, 2017. It was then that I shared my will to ride again, with my cycling buddies in the city. Passionate people have a different kind of enthusiasm and energy around, which never fails to attract me, so were these riders and I was already in for a nice, long ride with them. Sai Pratyush ,my rider buddy in Mumbai helped me selecting the best bike for my ride and coordinated with Mukund of Mastermind Bike studio for the right fit for me . But this time I wanted my ride to stand strong for a cause, and I chose ‘Mental Health’ for the same, as it was close to me in many ways. The three important men (senior and the juniors) in my life came in full support (read hubby and boys). But my little one had some sincere advice to pass on as I buckled up for the ride. He considerately said, “ride properly mumma , don’t’ have a fall this time ”. I also shared my fear with one who is the force behind me picking up endurance cycling, Rajesh Kalra and as he always says.”Just Do it” and I was determined to DO IT! It is rightly said, the greater the obstacle, the more glory in overcoming it. There were few obstacles in our path too, so as to make our journey more glorious may be. The tougher one came out to be the already stirred jatt andolan across Haryana. We were to pass through the most active belt of andolan (protests). We made up our minds to ride through and take a call regarding the completion as per the situation confronted. All other obstacles were a passé. I had to face the major one: fear of rising on streets and downhill (courtesy my previous falls). I mentioned this to Saurabh (one of my riding partners) and he assured me that I’ll be fine. I took his assurance. So, it was all set and I was ready to fly to Delhi on 2nd March 2017. 3rd March 2017, the day decided for the commencement of our ride and also the day to defeat all my psychological fears. Our ride was flagged off from India gate at 5.30 a.m. I and Saurabh took a deep breath, sat on the saddle and soon we were zooming through Delhi streets. 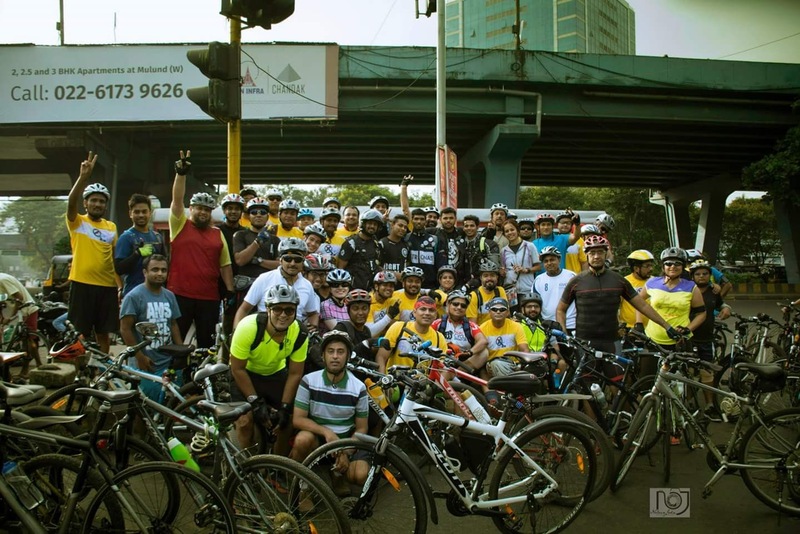 So, here we were riding for a cause and we were enjoying it. The first halt happened to be at Murthal, which is precisely remembered by us for the yummy paneer parathas. Saurabh constantly accompanied me to comfort me against my fear. The weather was pleasant, making our ride an enjoyable and fantastic one. Halting at fields, clicking pictures, interacting with the local people and sipping sugarcane juice helped in smoothing our ride. By the time we reached Kurukshetra in the evening, we were dead tired. A comforting shower helped in relieving the physical tiredness. Yummy Punjabi food satiated our hunger and was a perfect full stop for the day. My inner self was already patting my back and I was thinking, “Yay, I could cycle on the highway. It was a battle which I think I was slowly conquering”. We started the day at leisure as the distance to be covered was less. As usual we had our amazing paneer parantha to kick start our ride. What we thought to be an easy ride turned out to be the most treacherous one. It was very strong head and cross winds that were not allowing us to pedal ahead. We were pedaling very hard, forcing ourselves to move forward but we realized that we were cycling at snail’s pace. All this made us stop at several halts; we had to continuously sip water, drink sugarcane juice, even ORS (to keep ourselves hydrated). We pedalled with all our might after every stoppage. We kept on noticing the trees on the roadside bending with the winds, which made us realize the strength of the air currents. Goodness finds a good cause itself, similarly Mr. Karanveer Singh and his group found about our ride on the social media. He and his team greeted us with guava juice and also a lot of encouragement. After battling the winds it was such a delight to meet Mr.Karan and his group. We finally reached Ludhiana by evening. Our stay arrangements couldn’t be done due to short notice, but help poured in from all sides. One of my rider friends in Mumbai, Swati Sablok’s father, Mr.Jagdeep Sablok, came forward to help us. We couldn’t thank him enough for the way he took care of us like his own children. He received us at Ludhiana entrance and then took us straight to a cycling expo. The expo was quite wide spread and as soon as we entered the expo we were greeted by Ludhiana cycling club. We were easily recognized as cyclists firstly because of our attire and secondly with dirt all over us. It was fantastic to meet this super energetic group and all our tiredness due to our ride fighting the vicious winds vanished in thin air (ironical). We then headed to the guest house to call it a day (a very tiring but enriching day). Our tired bodies rested well and we started early. It was the second last day of our ride, and we were super excited to reach Amritsar. The route was beautiful, while the weather favoured our movement. We had a different zing in our ride today (today being the concluding day). The excitement of completion of our journey, made the hard hitting winds from all directions, quite bearable on this day. We chatted, ate good food, stopped at several places and pedalled faster every time Saurabh chanted encouragingly, “Chal puttar pedal maar”. An old saying goes like, birds of same feather flock together, may be this is the reason we could get to meet passionate riders like us every time. We were lucky to spot few riders wearing fluorescent orange jerseys riding in the wee hours. We stopped them to inquire about their club if any. 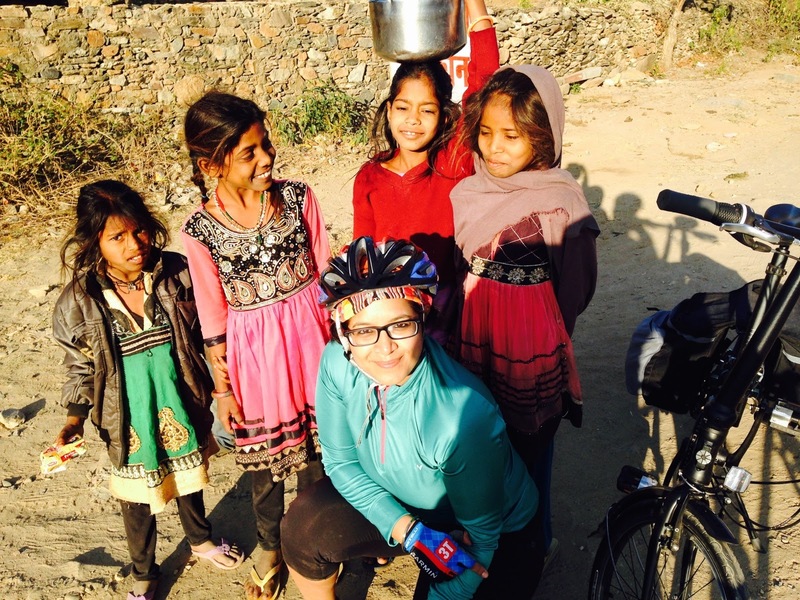 They informed us about their club called Jalandhar Cycling Club. They lead us to Haveli, a wonderful huge open restaurant serving most delicious north Indian food we ever had. The morsels satiated our tummies, taste buds and even souls with their taste. We then bid good bye to them as we had to reach our destination. As mentioned earlier too, the vibe attracts the tribe, so were we attracted to so many amazing cycling groups on our way. The experience was enriching as a rider. We reached Amritsar by evening and were greeted by the gates of the huge and pious Golden temple. Yes, the long stretch of the ride was over! We visited the Golden temple in the evening to seek blessings and had sumptuous food at brothers dhaba. As the day came to an end at the peaceful and blissful gates of Harminder Sahib, we were the happiest souls around that day. The final lap was the shortest, hence we were totally relaxed. We started late and started to ride after moving out of the city. We drove for a distance and then assembled our bikes to ride towards Attari. As our fate was with us throughout the ride, we met another set of riders from Amritsar cycling club. We enjoyed tea together before heading towards the border. Mr. Harminder joined us to the border, as we approached the partition line we beheld the huge Indian flag hoisting with pride up in the sky. The feelings fall short for words and can’t be ever expressed verbally. While we approached the border, I was overwhelmed with the completion of our journey. Yes, I did it and we did it ! This ride was mind over matter for me. I was able to overcome if not all but few of my fears and undoubtedly Saurabh , my co-rider played a major role in making me complete the ride by his encouraging words. He made me draft behind him when head winds were hitting us , he slowed down with me when he saw that I was exhausted , he did not bother about his strava average but rode along with me irrespective of the speed . I owe you a lot Saurabh ! Family , children , home , responsibilities , social image , duties ,expectation will never leave but to find a way out from all this and live for your passion is the key . Get up and move! Do it ! P.S: Special thanks to Apollo Hospital , Sledgehammer Foundation , RiteBite ,DNA,Poineer ,My Powai for coming in full support in very short time . On a typical hot and humid Sunday I entered home post noon after a long ride tanned, dirty face, tired with a parched throat.. I removed my helmet which was dripping with sweat, kept it on the table and rested myself on the sofa. With a deep exhalation I said, “Damn, I could have ridden faster and longer today but it was too humid”. My words disappeared in the air as all other members were busy with their Sunday chores. I was too tired to take their observation into account so decided to head for a wash. I reacted in similar way after my swimming or stair climb but I thought my words went unnoticed, really? It was on Sid’s sports day when I realized that my each word was taken into account. After the prize distribution he came running to us with more than 3 medals dangling around his neck and his face beaming with joy. Surely, it was an elated moment for all of us. 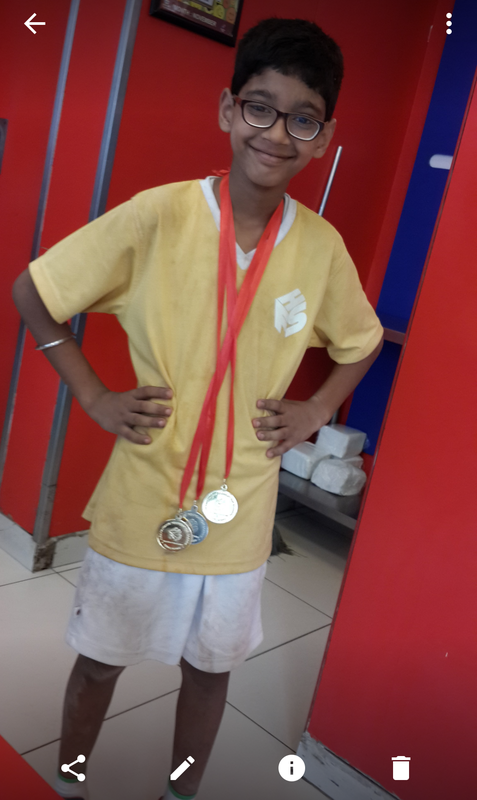 He said in all glee, “, Mom, I am the fastest in the entire junior section and no one is even closer to me “. I patted his back and was surely proud of his achievement. But then the things changed a little. He wanted to race anywhere, anytime and with anyone. Why? To prove and show that he is fastest of all even the younger sibling suffered several times because he was slower. He was not even happy when he stood third in cross-country race among more than 70 students .Sid asked me one day to record his run on Strava (sports app which records your sports activity) .So, the Strava bug was setting in. After my rides or run he checked upon my distance and speed. He was also curious to know if I was fast in the group and who was the fastest (he knows some of the fastest riders in the group) .This was alarming .I could see fierce competition. Unknowingly I introduced this culprit. My activities are purely my passion. It is my outlet to anxiety, stress and depression but this was not conveyed properly and I could see my son getting into unhealthy competition. So, how did I correct it? Talk about enjoyment first , winning may or may not happen – it is just fine ! After my rides I talk about the fun we had , chit-chat, weather, road condition, what we had for breakfast, some funny instances. Also, focusing on how the group rides together and not to race. I focus my discussion more on the love for ride than any Strava jargon. I run alone so after my run I come home with a satisfied smile and then talk about my sprint for a short distance and slow run for longer distance. Also, discussing long distance running tactics with my boys and asking for their comments. In the end it is neither the speed nor the distance that will matter but consistency will. Parents feel elated by the accomplishments of their ward and look forward for medals too. It is good to get recognized for the efforts but it is equally important to be happy and satisfied without medals dangling around the neck. We have a medal stand at home and I love that corner of my house. It shows my effort , my participation, my pain , my strength , my hard work and my will to do more . My each medal has a story and a memory to it. It is extremely important to get into a state of bliss when you enjoy any sport than comparing, creating records for recognition, proving oneself better than other and feeling low for not being at par with the group. My accomplishment, effort, handwork and dedication are for myself and not to prove to anyone else. Children give learning of life and my son did too. I shall continue to pursue my passion towards adventure in full fervor but for myself and not for any competition. I would love to get recognized by own inner belief that will scream to me,” DISHA, I KNOW YOU CAN DO IT “and I’ll give MY complete dedication to make it with a smile on my face.